Hello nurses. This is my first post on this blog. I decided to make a blog where I can compile all nursing related stuffs that will come my way; be it personal experience, work-related, articles, news, current events and the likes. I have two other personal blogs too [you'll find them HERE & HERE] so bear with me if I wouldn't be able to update this so often. By the way, you may call me Lily. I am a twenty something Filipina registered nurse and is currently making a way to earn thru alternative means. We all do know how difficult it is to find a job when you are a nurse here in the Philippines, don't we? It's either you go on trainings or work in a call center [which isn't bad anyway]. However, I'm done with my trainings and I already had months of working as a VOLUNTEER. I did finish my one-year contract with RNheals too and I got nowhere to go for now, hence this blog. I'll share with you a few tips I've learned in blogging so you can get started. First, create a blog. You may use wordpress, blogspot or any blogging platform you want. I started with a personal blog because I have no idea before what to blog about. The closest I have then were my own experiences in life. It's easier that way. Next, create posts that interest/attract readers. It is hard at first but you'll get a grip of it as time passes by. Visit other blogs, leave comments and invite them to visit yours too. You will build audience by doing that. 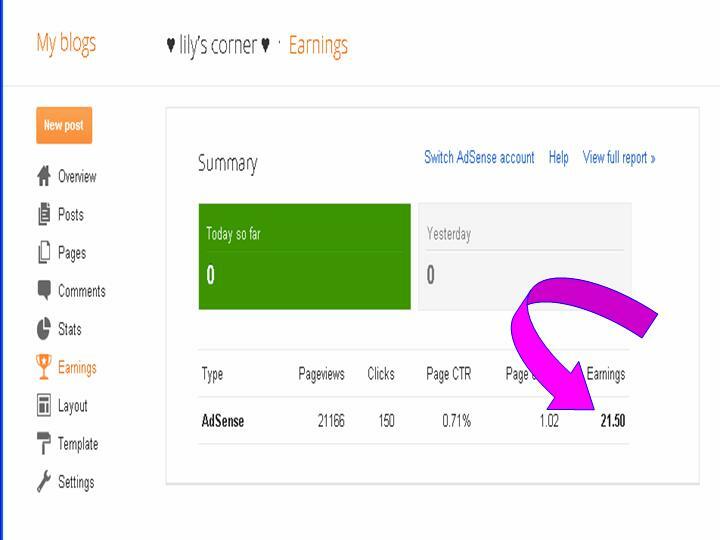 When you already have enough number of traffic[visitors], you may apply to sites that offer paid advertisements. The most popular is google adsense. Though it has a lot of requirements before your blog is approved, it will be worth your patience. 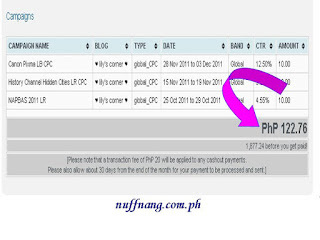 Just follow their requirements and once approved, you will earn by displaying ads on your blog. Other legit sites are Nuffnang and Chitika. Review their policies first before putting ads on your blog. You may also earn by making product reviews. There are a lot of legitimate sites that offer $$ per review. Some that I know are SocialSpark, Factoidz and Blogsvertise. There are also paid links that you may put on your blog and you'll earn half of your site's worth in their market. One that I know is Linkvehicle. These are only few tips I can give for now. There's still a lot to learn. It really takes a lot of patience, effort and knowledge to put up a worthy blog. When you decided to have one, just keep on posting and build readership.